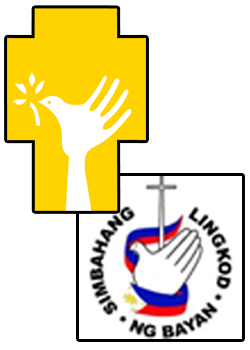 On November 4, 2013 the Tanging Yaman Foundation and the Simbahang Lingkod ng Bayan joined forces to create TASK FORCE BANGON PILIPINAS. 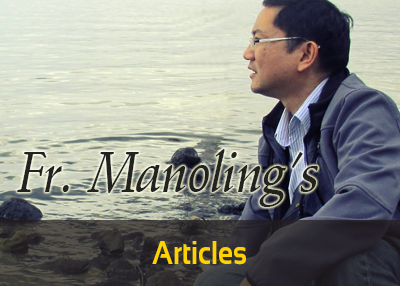 This was in response to the pressing needs of the Visayas region devastated by super typhoon Yolanda. From donations both in cash and in kind, family relief packs totaling 6,000 were distributed to the municipality of Isabel and the city of Ormoc, both in Leyte, to Culion and Coron in Palawan, and Calbayog in Samar between November 11-19. Each family pack contains rice, food products, water, clothing, hygienic kit, laundry soap, and a water pail. Five hundred family packs, extra clothing, and a busload of water were also sent to Villamor Air Base where people who left Leyte are taking refuge. The logistics of transporting the relief goods posed as the biggest challenge. Generous people have lent their trucks, buses, private and commercial boats and airplanes to help deliver the relief goods. However, moving the goods from the ports to the barangays has been slowed down due to the limited number of trucks on the islands. Nevertheless, in the coming days, the task force is determined to bring aid to Guian and Catbalogan in Samar, to Capiz, and to Tacloban, Leyte. We are very grateful to those compassionate hearts who have generously given their material, financial, and logistical support. We also thank all the volunteers who patiently waited, sorted, packed, carried, and loaded the relief goods in trucks from 4 a.m. to 2 a.m. the following day. Miracles really happen when we all work together to help one another. But this is just the start. Lives must be rebuilt. Homes, schools, churches, hospitals, markets, must all rise. Let us all continue to help our brothers and sisters in the Visayas to have their lives bounce back. There is still much to do. There is still much that we can do. Together, let us make the miracles happen. Ad majorem Dei gloriam.